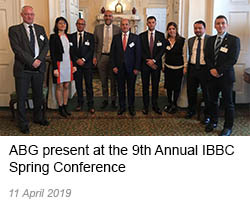 Representatives of ABG attended the IBBC Spring Conference, held at Mansion House in London on the 10th of April. 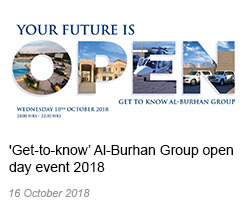 The one day event was organised in conjunction with the Central Bank of Iraq and the Iraq Private Banks League and was attended by over 400 UK a Iraqi businesses as well as H.E. Dr Fuad Hussein, Deputy Prime Minister and Minister of Finance along with a high level delegation of Government officials. The event was inaugurated by the President of IBBC Baroness Nicholson of Winterbourne, alongside Alderman Sir William Russell, H.E. Dr Fuad Hussein, The Rt. Hon. 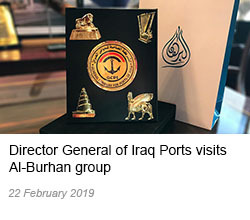 Alistair Burt MP, Graham Stuart MP, Minister for Investment, Department for International Trade and Jon Wilks CMG, Her Majesty’s Ambassador to Iraq, all of whom emphasised the investment opportunities that Iraq has to offer and encouraged the strengthening of economic ties with Iraq. This year’s conference was entitled ‘Iraq – Financing a Modern Economy’ and panellists discussed various topics including the Banking Sector, the Stock Market, the Oil & Gas industry and Capacity Building in Iraq. An award ceremony was held to mark the 10th anniversary of the IBBC and the Baroness Nicholson of Winterbourne and Deputy Chairman of IBBC Eng. Rasmi Al Jabri, were presented with awards as a token of gratitude for their contribution and service to the organisation. 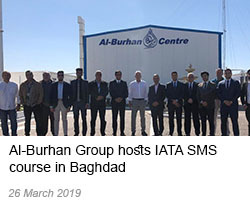 The ABG team also attended the Ministry of Transport’s round table discussions alongside the Director General of the Technical Department in the Iraqi MoT, Mr Abbas Imran Mousa Al–Zubaidi.